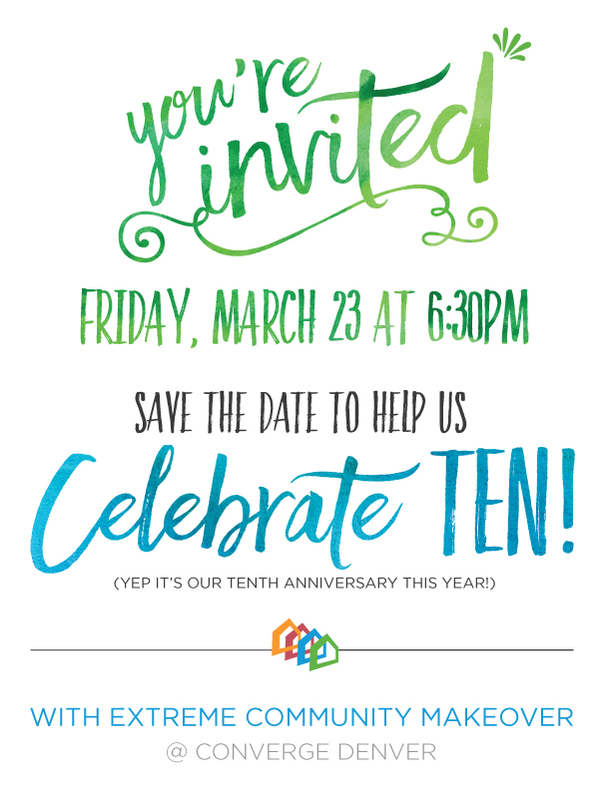 As I mentioned in last month’s email, 2018 is the year we are celebrating 10 years of Extreme Community Makeover! Each month I’m going to share history, stories, or unique things that happened from each year, so let’s start with the first year, 2008. Have you ever wondered how ECM began? A handful of people came together to brainstorm this idea about encouraging people to get involved in their community and calling it Extreme Community Makeover. It was initially connected to Confluence Ministries and worked in the Villa Park and West Colfax neighborhoods (Federal Blvd-12th Ave-Sheridan Blvd-17th Ave), near their building. The goal was to have volunteer groups adopt a block at a time and assist residents with exterior home and neighborhood improvement projects. After the first year, nearly 2,000 people got involved and it became clear that this tangible expression of being a good neighbor was something that really resonated with people. And the rest is history, as they say! There’s actually more to it, but stay tuned each month as I share more. We need two amazing individuals to grow our team! 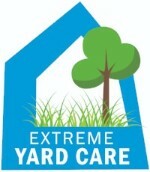 We are looking for a Program Manager to head up day to day operations for the Extreme Yard Care social enterprise. And we are looking for a Program Assistant to assist with various aspects of programs, events, etc. Click on the links below to see the job descriptions. Who are we looking for? An entrepreneurial person who gets along well with people and is excited about helping to grow this business, while providing quality lawn care services for our customers. Find more details on the job description here. Who are we looking for? A person who pays attention to detail and keeps tasks related to the Work Days running smoothly, while also putting their unique touch on special events. Final tweaks are being made to the job description, so stay tuned at the employment page on our website or contact Angela for more details. 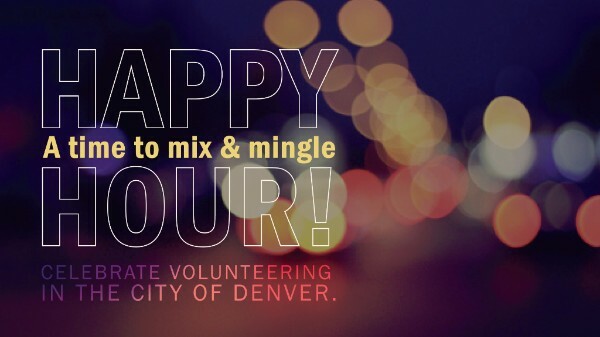 Our next volunteer happy hour will be Tuesday, March 13 from 5:30-7:00 pm at The Crafty Fox Taphouse & Pizzeria (3901 Fox Street, Denver, 80216). These happy hours provide a way to learn more about volunteer opportunities with Extreme Community Makeover, while connecting with others who also like to volunteer. Come learn more about how you can volunteer this year! We are having a 10 year anniversary party, while also kicking off this year. Join us on Friday, March 23 from 6:30-8:30 pm at Converge Denver (3327 Brighton Boulevard, Denver, 80216) for a fun night of celebrating ECM! Our annual Go: Westwood project is coming up in on Saturday, April 21 at 8:30 am. We would love to reach 500 volunteers this year…since we ended up just 20 people shy of that goal last year! Contact Angela with questions. Or register a group here. We have a lot of new volunteers joining the Extreme Teams, but we would love to have you join as well! Our kick-off meeting is coming up on Monday, February 26 from 6:30-8:00 pm so contact Angela to get involved ASAP. You can find more details here. The following dates will be scheduled for Work Days this year. 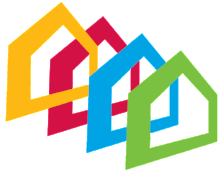 To find out what neighborhoods we will be working in each day, check out the calendar on our website here. Once you’ve decided on a date, go ahead and get signed up. To register a group, click here. To register as an individual, click here. Looking forward to a great year of volunteer projects!